If Chris Cooper has a superpower, it's the ability to make mistakes faster than anyone else. Fortunately, none have been fatal, and they can help OTHER gym owners build happier lives. Chris brings a "big picture" perspective unmatched by anyone else in the industry. 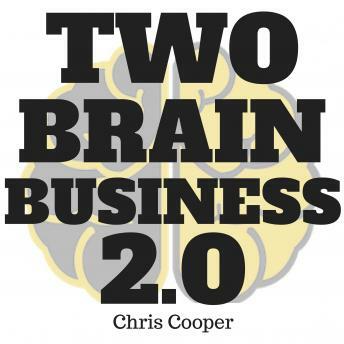 After thousands of hours spent one-on-one with gym owners, hundreds of blog posts and more interviews than he can recall, Chris shares his best lessons in the second edition of "Two-Brain Business." From Australia to Europe to North America, these are what Chris' clients--some of the best gyms in the world--are doing RIGHT. This is the follow-up to Two-Brain Business, one of the most popular fitness business books of all time. But its content is all new, with fresh stories, smart ideas and proven tactics.